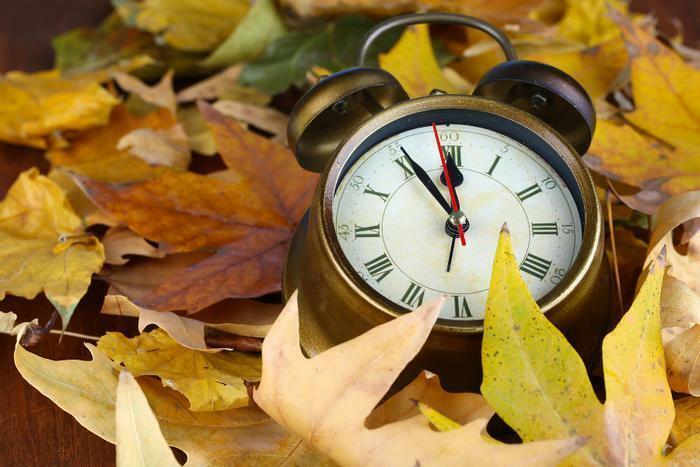 We may fall back an hour on November 6, but that extra hour can actually help you get ahead. The end of daylight saving time marks the perfect opportunity to make a few changes that can increase your home’s safety. It’s easy to forget to check certain safety features, especially if they’re not drawing any attention to themselves. But while the squeaky wheel may often get the attention, sometimes even the working wheels need a little maintenance. In under 60 minutes, you can make a handful of checks and changes around your home that can help ensure its safety as well as your own. Here’s what you can change, in addition to the numbers on your clock, when the clocks roll back on November 6. Checking (and possibly changing) these five safety features can keep your home protected while helping you feel productive, according to password manager Dashlane. Smoke detector batteries. You may not be hearing any chirping, but your smoke detectors may benefit from fresh batteries. Three out of 5 home fire deaths result from fires in properties without working smoke alarms, according to FEMA. To keep your home protected, test and change your home’s smoke detector batteries at least every daylight saving time. Tire pressure. Check your tires to make sure they’re not under-inflated. Under-inflated tires have a higher risk of damage and failure. They may also wear out more quickly. Your credit score. A poor credit score isn’t a threat to your physical safety, but it can hurt you nonetheless. Dashlane recommends checking your credit score and devising a plan to improve it, if necessary. Medication. Head to your medicine cabinet and get rid of any expired or leftover medication. Before disposing of any bottles with your name on it, make sure to scratch out your personal information. Passwords. Change your passwords to protect yourself against data breaches. Doing so at least once a year is a quick and simple way to protect your information and identify.